The Blush Parlour offers a Luxury Makeup and Hair experience for all of life’s special occasions. 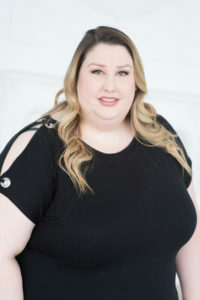 Established in 2012 by founder Shira Ben, The Blush Parlour has come to be a sought-after name in Toronto and the GTA for professional makeup and hair services. All of our Blush Parlour artists and stylists are Beauty fanatics, ensuring we are up-to-date with the hottest trends. We are 100% committed to creating a unique look for each and every one of our clients. We guarantee that The Blush Parlour will leave you feeling flawless, comfortable, and confident with your customized look. 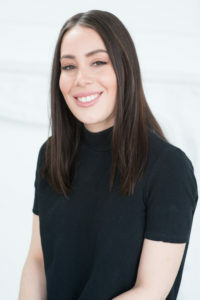 Through years of experience in the beauty industry, founder Shira Ben came to understand that fabulous makeup and great hair leaves clients feeling excited and confident about the way they look. 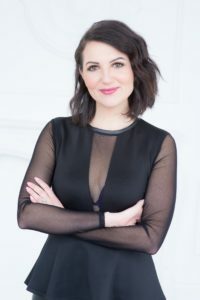 Along with being owner and Lead Artist of The Blush Parlour, Shira is also an on-air Beauty Expert at CHCH TV 11 and is the founder of her very successful blog “Stop, Drop and Make-Up”. 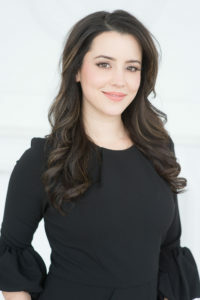 As a top Toronto influencer, Shira is a representative for various leading beauty brands. Angie is a very passionate, skillful and artistic Hair Stylist with over 10 years of experience creating intricate hairstyles for weddings, photo shoots, music videos, and special events. Angie’s love for Hair Styling was discovered at a very young age. As a professional dancer, Angie was never satisfied with how the hair stylists did her hair, so, she started doing all of her teammate’s hairstyles for performances and competitions and soon began doing the hairstyles for all her friends and family for weddings and special events. Keeping up with the latest trends and techniques allows her to make sure every client walks away feeling their best. Angie’s upbeat personality combined with her attention to detail makes her the perfect person to ensure you are calm, confident and completely in love with your look! Taylor graduated Complections School of Make up and Hair Design in 2013. She has been working with The Blush Parlour (formerly The Beauty Movement) for the last four years and specializes in beauty and editorial photo shoots. Her practical experience comes from working at MAC Cosmetics and in a leading Toronto Hair Salon before joining The Blush Parlour. She is extremely passionate about what she does and it is reflected in the smiles on her clients faces. Sarah is an accomplished Hair and Makeup artist. She joined the Blush Parlour in 2017 and is passionate about her creative makeup and hair endeavours. Creating beautiful looks for our clients is where her talents really shine. Her sparkling personality and talents will leave you and your nearest and dearest feeling amazing. Alyson graduated Sheridan College with Honours from the Cosmetic Techniques and Management course. And has over 11 years experience doing Hair and Makeup. Prior to becoming a Blush Parlour artist, Alyson worked as a makeup artist for MAC, Lancome and Lise Watier. 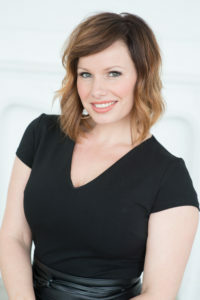 Alyson also has experience working in the film industry as a makeup artist. Her hair and makeup skills are outstanding and clients just can’t get enough of her beautiful work.